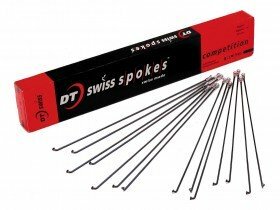 DT is the first name in stainless steel spokes - essential for building stronger wheels that will last longer. 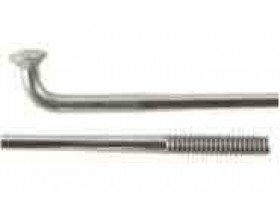 This DT Swiss double butted stainless steel spoke is a first choice with many a wheelbuilding wiz. Lighter than plain gauge: just as strong. 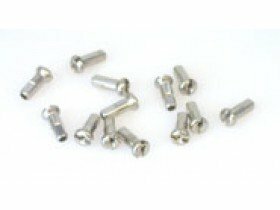 Fine X5 stainless steel construction with chrome for rust resistance and nickel for strength. 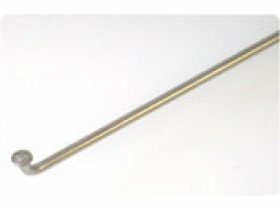 Extra long, brass or aluminium.